A SCHOOL has banned Christmas for being too commercial - and is making kids beg for its return. 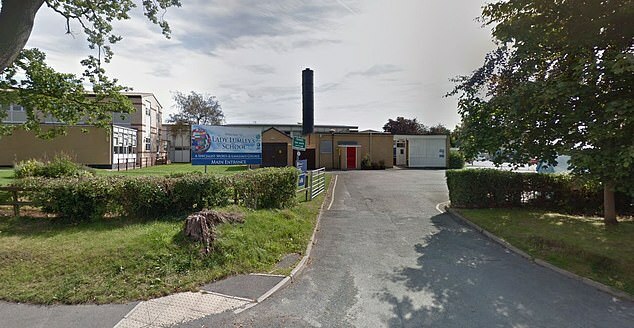 Pupils at Lady Lumley’s School in Pickering, North Yorks., were told they must write to their RE teacher to plead for the celebration to be brought back. In an assembly this week, "Father Christmas" told students about the true meaning of Christmas being “lost and buried under an avalanche of commercialisation” before announcing the holiday was cancelled. Cards, gifts and Christmas activities were banned unless "persuasive arguments" can be made to argue the real meaning of Christmas, he said. Children at the secondary school now have until November 30 to email their Religious Education teacher to persuade her the school should celebrate Christmas. Headteacher Richard Bramley said: “In assemblies this week, Mrs Paul, one of our teachers of RE, spoke about Christmas and whether the message of Christmas has been lost and buried under an avalanche of commercialisation. “Christmas is a day celebrating the birth of Jesus and should be a time of goodwill to all, yet it can be a very stressful, expensive, argumentative and lonely time. “Mrs Paul read out a letter from Father Christmas and cited the example of Christmas cards which bear no relation to the origin or meaning of Christmas but carry symbols we now recognise as associated with the holiday season, e.g Santa Claus who, in his modern incarnation, was probably invented by the Coca Cola company!" The reception has been mixed among parents and students with the ban being taken badly by some. One parent tweeted: “I understand the way the RE teacher is trying to educate the kids. But it's the way the kids have been told... Mine came in upset." Another user wrote: “@LadyLumleys what’s all this about kids not being able to celebrate Christmas?? Others have endorsed the scheme. Liffy98 wrote: “Mrs P did this at Bishopsgarth School and the parents said the same kind of thing. It is a brilliant idea. “As an RE teacher Mrs P is trying to get the pupils to understand what Christmas is really about ........ family and friends and caring for each other rather than Xboxes and Playstations. “For some families, especially those living in poverty, Christmas is a horrible time of year."